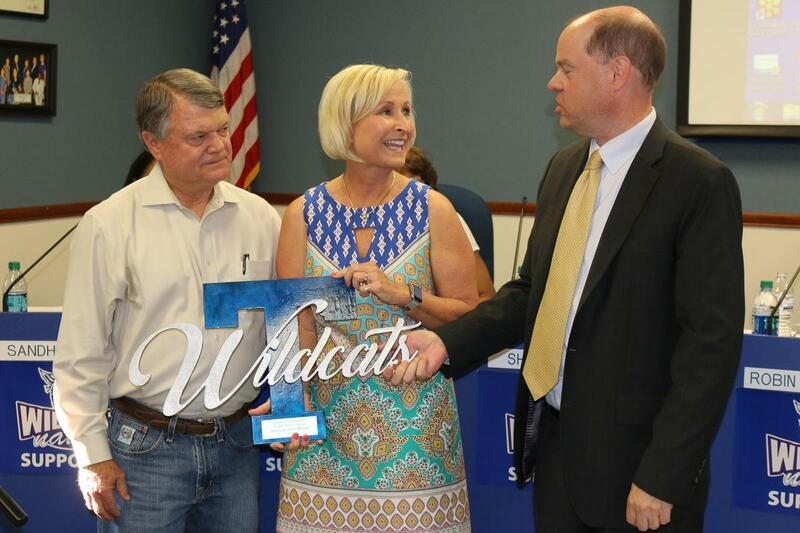 Donna and Steve Wright, Temple High School graduates and longtime servants of the students of Temple ISD, received the 2018 Friends of Temple ISD Temple Wildcat award. Steve and Donna Wright, Temple High School Classes of ’76 and ’79 respectively, are true Temple Wildcats and as true Wildcats they bleed blue! Steve was elected to the Temple I.S.D. School Board in 2006 and has served as president since 2008. Through Steve’s work on various boards and committees, he has harnessed resources that have allowed Temple I.S.D. to pass three bond elections and a Tax Ratification Election within the past 10 years. He has been instrumental in reenergizing the Temple ISD Career and Technology program and will proudly open our new state-of-the-art Career and Technology facility in August 2018. 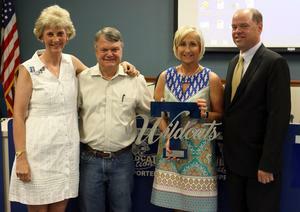 Steve and Donna both serve as mentors for the Wildcat Mentors and have for many years. Donna serves on the Wildcat Mentor Board and each year diligently recruits quality mentors for the program. She is a member of Altrusa and has connected the Altrusa membership with Temple I.S.D. schools as mentors, volunteers and for special programs. Together Steve and Donna embody the Wildcat spirit of hard work, dedication and service above self. Temple I.S.D. is proud to recognize two of its very special graduates who have grown into very special community leaders. They make a difference in the lives of Temple I.S.D. children each and every day.